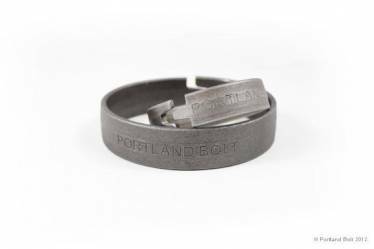 As of May 2013, Portland Bolt is now providing our exclusive “Portland Bolt” branded split rings (see image). The split ring wood connector is a device for transmitting loads between two pieces of wood. They are placed in precut grooves made with standard grooving tools. 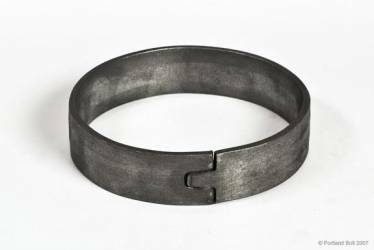 The tongue and groove “split” in the ring permits simultaneous bearing of the inner surface of the ring against the core left in grooving and the outer face of the ring against the outer wall of the groove. 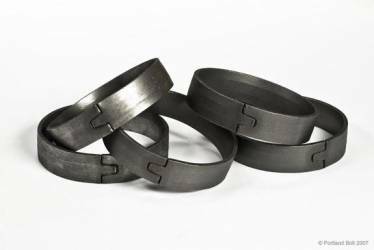 The beveled split ring affords ease of assembly. The 2-1/2″ split ring wood connector is desirable for trussed rafters or for lumber construction involving only lumber of 2″ nominal dimension. 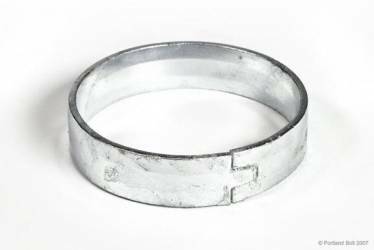 The 4″ split ring, the most widely used connector, may be used efficiently for truss spans from 30′ to 150′. Both the 2-1/2″ and 4″ split ring work well when used for column corbels, wind braces, beam and girder seats and, in addition, numerous uses in exterior construction, such as towers and bridges of all types. 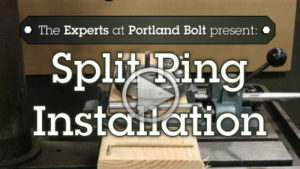 Visit our educational website www.splitringconnectors.com to view an installation video, view step-by-step installation instructions, and read frequently asked questions about split ring timber connectors.